When it comes to enabling your students, staff and community to report bullying at school, you have plenty of options! Creating a bullying report form shows bullies that there will be consequences for their actions. When you build a school community of up-standers, bullies don’t stand a chance. Other students will not tolerate bullying because they know better. And when it does occur, they know they can safely report it in a positive way through a bullying report form. If you haven’t done so already, you can also check out our Bullying Reporting Methods page where we compare the different bullying reporting methods available to schools. A bullying report form is just one way to report bullying. Why use a Bullying Report Form? The information collected is more reliable and comprehensive than verbal reporting alone. The person reporting can remain anonymous if the submitter chooses. Once you have a sufficient number of bullying incidents reported, you can perform simple data analysis techniques to glean insights from the data. Reaction can be real-time and immediate – one school using BRIM received a report in the morning and by lunch the principal met with staff to create a plan to address the reported issue. A bullying incident reporting form can be in either paper form or made available to students online (via either web form, downloadable PDF form, etc.). Why not use a paper or PDF form? It’s simple: paper gets lost. Paper can’t easily be shared with faculty and doesn’t promote collaboration. Paper is cumbersome and must be transcribed or scanned to aggregate useful data. PDFs suffer from similar problems, but even worse they might not be compatible with all computer systems. Ever tried getting the right version of Adobe PDF Reader? PDFs can also be difficult to fill in electronically, in which case they are printed and suffer the same problems as paper forms! The information in your incident reports will only be as reliable as the person completing the form makes it. For that reason, it’s critical that staff and students know how to use the reporting forms properly. Students and staff must understand what constitutes bullying according to your local laws and policies. Students should be taught to use concrete, descriptive wording in the reporting form. Phrases like ‘He kept bothering me’ are too vague to be useful. A complete description of the incident would need to include details on how person A was bothering person B – was it physical bullying? Verbal bullying? Relational bullying? What exactly was said or done? Everyone in the school should be made aware of the bullying reporting options available and know how to use it. Will it be a web form? If so, how do they access it? Is there going to be a drop box near the office for paper forms? How often will that box be checked? Students should be able to see changes happening at your school based on their incident reports. If it comes to light that one or two areas around the school are where incidents happen most frequently, increased adult supervision should occur in those areas. The thing that will undermine your anti-bullying efforts the most is for students to report incidents but not see any changes being made around the school – or worse, for students to feel that their reports are being ignored by school administrators. What Fields Should You Include in Your Paper and Online Bullying Reporting Forms? If you’ve decided to use either paper or online form reporting methods, here are some of the fields you may want to consider having on your form. Has the person previously reported an incident? Description of the incident using concrete, clear wording. Investigation results – has this been verified by witnesses, parents, etc? 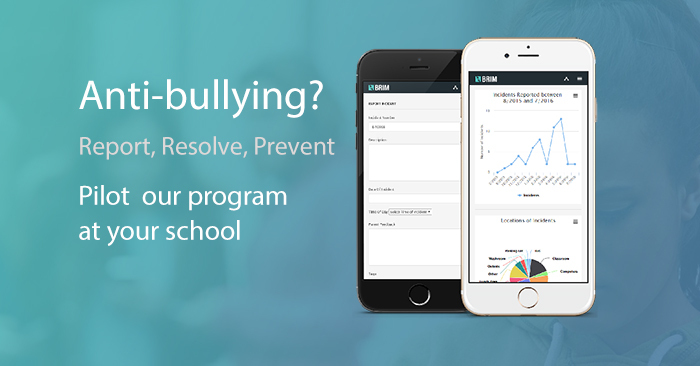 To see our online bully reporting tool’s reporting form, request more information about BRIM Anti-Bullying Software. Our online program incorporates all of the best practices we have laid out here and across the various resources on our website. In addition to online reporting, we have iOS and Android mobile apps. 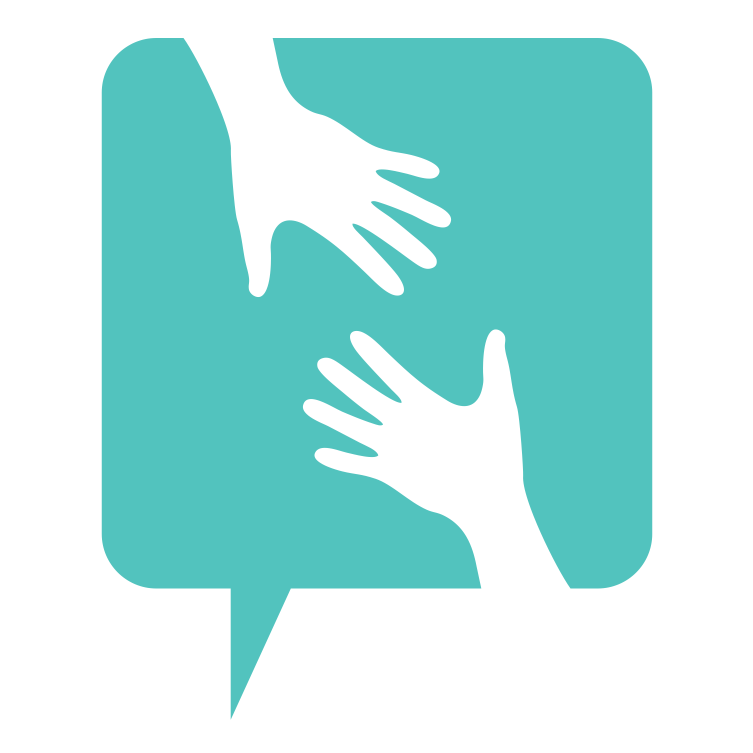 Easy access to support resources and incident reporting for students and parents. Administrators love our reporting capabilities and the digital paper-trail of all actions taken to resolve incidents. School counselors call it their “eyes and ears” into student interactions and behavior. Check it out for yourself by clicking the image below!